Primevoice Travel & Tours is a brand originated from Prime Voice Marketing Services, owned and managed solely by the expert Rowena Caralde Alvarez. It was started in 2000 as an outsourcing and call center company catering to U.S. and international based companies at B-to-B accounts providing the best marketing services. 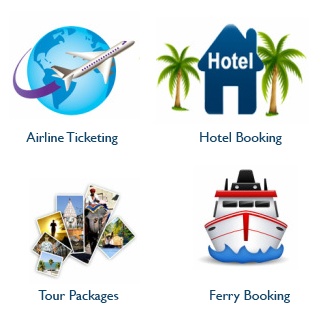 Empowered by Trip Option, its mother company, Primevoice offers and plans the best travel and tour solutions. From A to Z we cater to the needs and interests of our clients with special and unique packages, tailored according to your budget without compromising the quality of our services. We maximize every minute of your precious time to experience the best you deserve around the globe at a very competitive rate, most specially to share the wonders of the world of our very own native land, the Philippines. Our mission is to further develop the camaraderie of people amongst nations and an exchange of discovery and appreciation of the beauty of countries in all continents. Incorporating fun, friendship, relaxation, enjoyment, sports, medical, pilgrims, and business for corporations, small groups, families and individuals. To broaden great relationships amongst all nationalities to contribute to the economy in tourism and hospitality industries in all countries and destinations. Our vision is to create unique travel solutions and expansive tour packages that will suit every individual’s interest and capability at the most affordable cost but unlimited quality, ensuring each minute of your time is utilized to the maximum. To expand our brand and provide more services thus making your travel and tour the best experience ever meeting all your expectations.